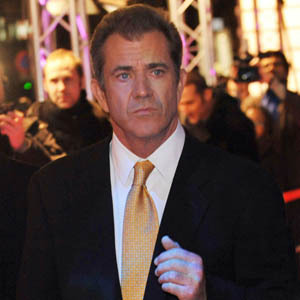 Mel Gibson pleaded no contest to the charge of misdemeanor battery against former girlfriend Oksana Grigorieva in a Los Angeles court. The charge relates to an altercation between the pair in January 2010, but the actor was only charged by officers yesterday morning as part of a plea agreement. Mel Gibson has been sentenced to a year-long domestic violence counselling program. The Braveheart actor pleaded no contest to the charge of misdemeanor battery against former girlfriend Oksana Grigorieva in a Los Angeles court yesterday afternoon (March 11). The charge relates to an altercation between the pair in January 2010, but the actor was only charged by officers yesterday morning as part of a plea agreement. Mel made no statements other than to acknowledge his plea to the judge and to say that he understood the proceedings. In court it was also revealed that Mel is presently undergoing psychological counselling as part of the deal he reached with prosecutors. The 55-year-old star was also served with a protective order not to "threaten or harass anyone involved in the case." In addition to probation and counselling, Mel has to serve 16 hours of community service with the organization Mending Kids International. Lawyers for Oksana—mother of Mel's 17-month old daughter, Lucia, who the couple are presently involved in a custody battle over—said she will now "concentrate on co-parenting her child, resuming her charitable work for the children of Chernobyl and moving forward with her life." A statement from Mel's lawyer, Blair Berk, made earlier this week said the actor and director had accepted the plea deal to escape a long court fight.